Just about every week we have clients coming in looking for specific antique furniture solutions to their interior design problems. 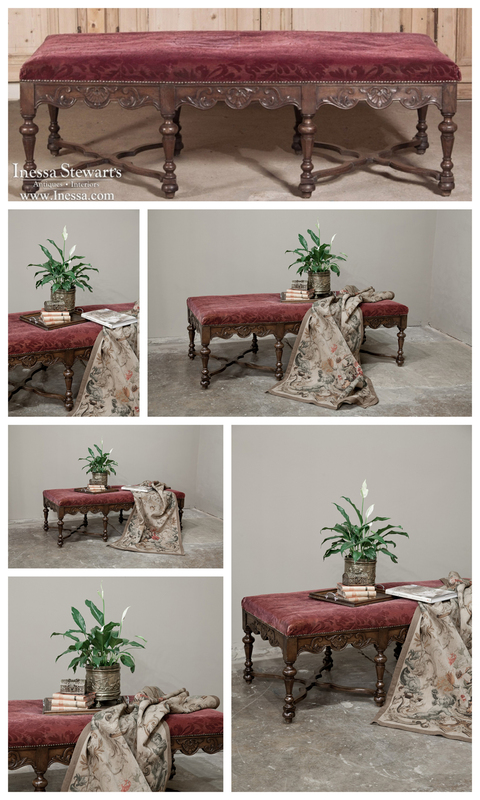 Antique coffee tables are one of their most frequent requests. 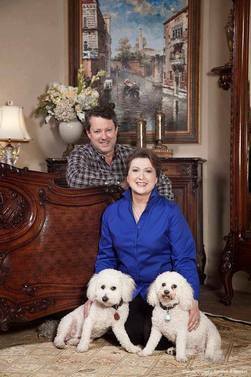 Yesterday I happened to see this stunning pin of the day photo posted by Traditional Home Magazine on their Facebook page. In the center of the photo is a bench; just like one we have in our Dallas antique store ~ perfectly positioned as a coffee table. 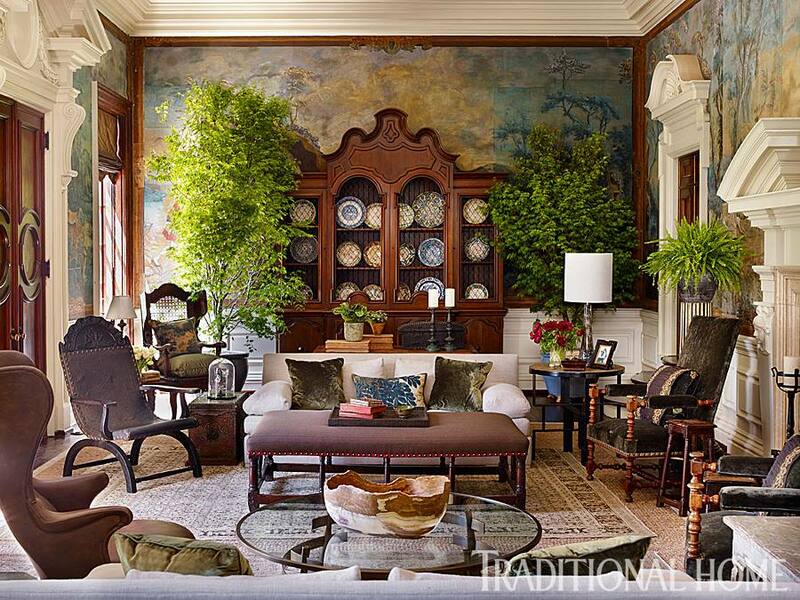 I love using antique benches, ottomans, and large stools as coffee tables, as many top designers do now. With the desire for a relaxing and inviting home ~ they give you all the glamour of form with their seductive lines while adding the perfect amount of comforting space to prop your legs on after a long day! It is definitely one of those antique pieces of furniture you don’t have to feel bad about putting you feet on! Filled with timeless statement pieces of antique furniture, this fabulous room is inspired by the effortless elegance of European Country manors, reimagined in a modern show home by a talented design team blending antique finery with everyday comfort and beauty. 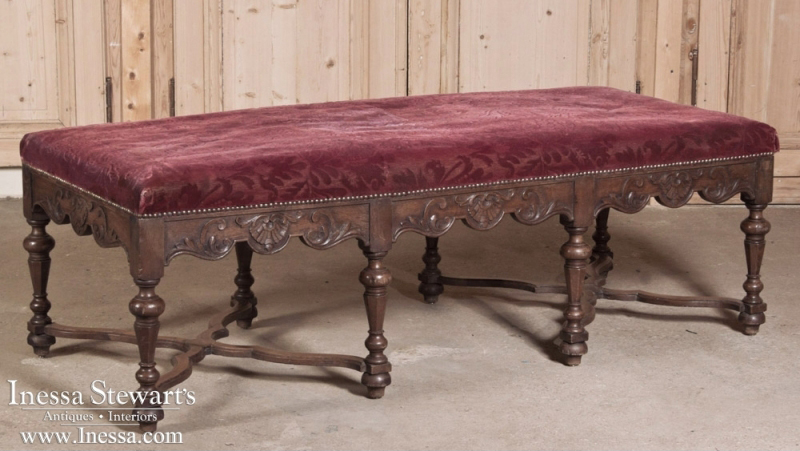 This rare Antique French Louis XIV Upholstered Bench is perfect as an antique coffee table, it measures 21.5 High x 65.5 Wide x 27.5 Deep ~ ideal proportions in front of a large sofa. 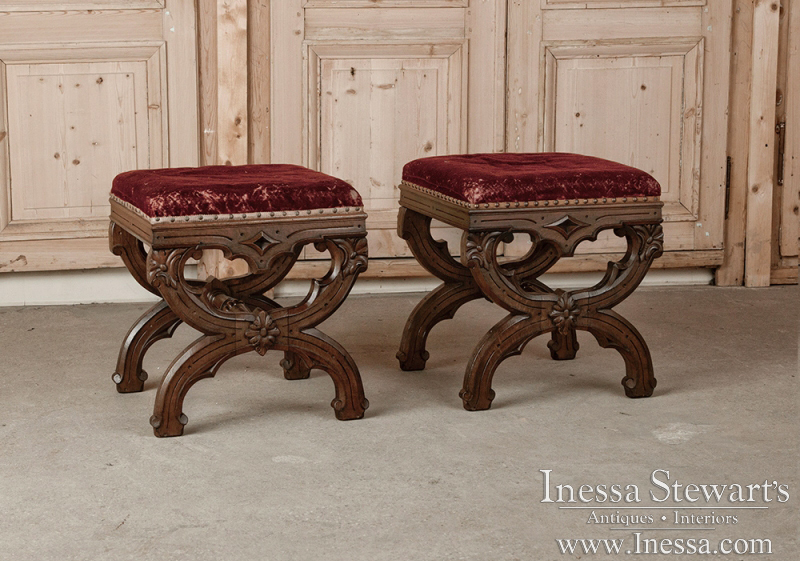 This Pair French Gothic Stools, hand carved from solid oak in the middle of 19th century, gives you the flexibility to serve as coffee tables or provide additional seating at a moment’s notice. 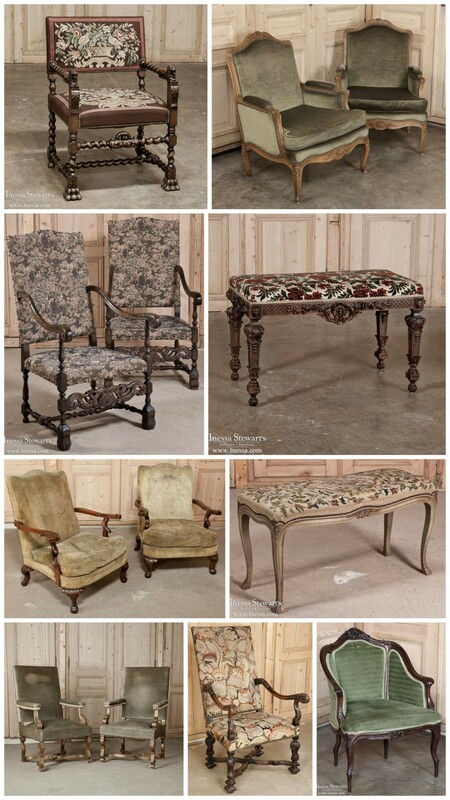 For more creative antique furniture, visit us at Inessa.com and keep in touch with us on Facebook and Pinterest.